Church of the Savior on Spilled Blood: Welcome to the voluptuous traditional architecture of Russia! Built on the site of the assassination of Tsar Alexander I, The Church of the Savior in Spilled Blood in St. Petersburg is one of the most easily recognized pieces of Eastern architecture. 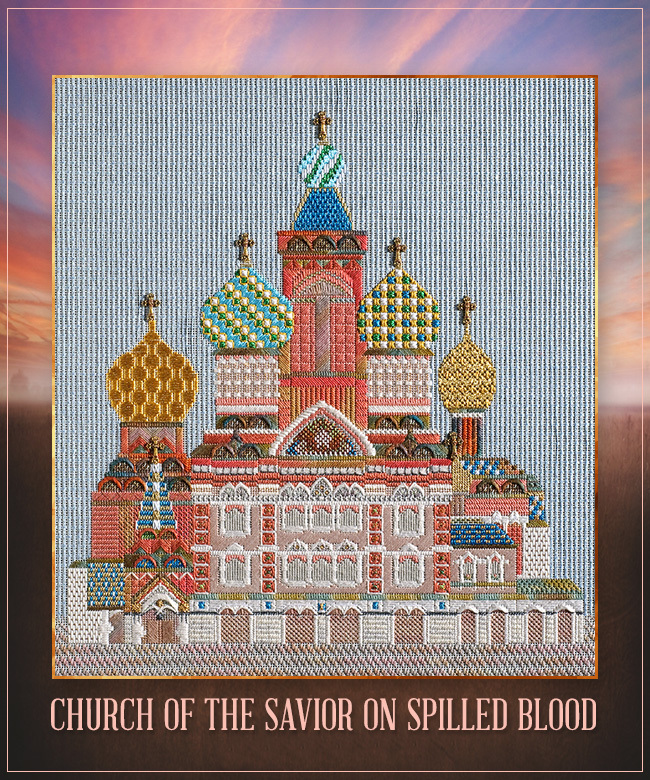 In this project, students will work tower by tower, from the base to the tallest dome, using richly textured stitches and threads, to re-create this stylized version of the cathedral. Coil bound 200-page instruction book, oversize diagrams, gold cross charms, full size color picture. Postage included. Not available for PDF delivery.